Play may seem like fun and games, but new research shows that specific kinds of play are actually associated with development of particular cognitive skills. Data from a nationally representative study show that children who play frequently with puzzles, blocks, and board games tend to have better spatial reasoning ability. The research is published in Psychological Science, a journal of the Association for Psychological Science. Being able to reason about space, and how to manipulate objects in space, is a critical part of everyday life, helping us to navigate a busy street, put together a piece of “some assembly required” furniture, even load the dishwasher. And these skills are especially important for success in particular academic and professional domains, including science, technology, engineering, and math (STEM). While previous research indicated that spatial play activities might foster children’s spatial reasoning, relevant data from a large and diverse sample were lacking, says Jirout. When the Wechsler Preschool and Primary Scale of Intelligence (WPPSI), a commonly used test of cognitive ability, was revised and standardized, it provided Jirout and co-author Nora Newcombe of Temple University a golden opportunity to study children’s spatial play and spatial thinking. Jirout and Newcombe analyzed data from 847 children, ages 4 to 7, who had taken the revised WPPSI, which included measures of cognitive skills that contribute to general intelligence. The children’s spatial ability was specifically measured via the commonly-used Block Design subtest of the WPPSI, in which children are asked to reproduce specific 2D designs using cubes that have red, white, and half-red/half-white faces. The researchers also examined survey data from parents about the children’s play behavior and joint parent-child activities. The data revealed that family socioeconomic status, gender, and general intelligence scores were all associated with children’s performance on the block design task. Children from the low-socioeconomic status group tended to have lower block design scores compared to children from either the middle- or high-socioeconomic status groups. And boys tended to have higher block design scores than did girls, though only after several other cognitive abilities, such as vocabulary, working memory, and processing speed, were taken into account. Importantly, how often children played with certain toys was also tied to their spatial reasoning skills. Children who played with puzzles, blocks, and board games often (more than six times per week) had higher block design scores than did children who played with them sometimes (three to five times per week), or rarely/never. None of the other types of play (e.g., drawing, playing with noise-making toys, and riding a bicycle, skateboard, or scooter) or the parent-child activities (e.g., teaching number skills, teaching shapes, playing math games, telling stories) included in the survey data were associated with children’s spatial ability. 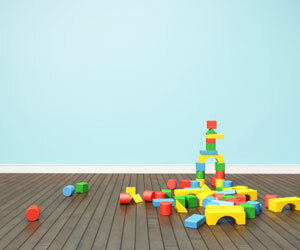 In line with previous findings, parents reported that boys engaged in spatial play — playing with puzzles, blocks, and board games — more often than girls, even after spatial ability was taken into account. The underlying mechanisms linking spatial play and spatial reasoning require further investigation, but these results suggest that targeting children’s spatial play may be one possible intervention tool for improving their spatial ability, the researchers argue. “This area of research has potential to provide practical implications for anyone who interacts with or has some influence on children’s access to toys and play experiences, such as parents, teachers, childcare providers, and even toy companies,” says Jirout. Jirout and Newcombe are planning further experimental research aimed at clarifying the causal relationship between spatial play and spatial reasoning, looking at children’s play in both informal home-based settings and more formal, classroom-based environments. This work was supported by the Spatial Intelligence and Learning Center (National Science Foundation Grant SBE1041707).